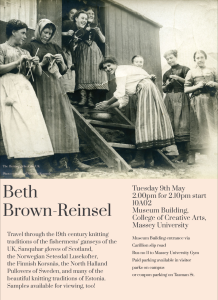 Beth Brown-Reinsel, Vermont-based specialist in northern hemisphere traditional knitting, is currently in New Zealand, giving lectures and conducting workshops throughout April and May. Wellington gets one of each next week. There’s a lecture at Massey on Tuesday 9 May, 2pm, Museums Building, College of Creative Arts (location details on the poster) and a workshop on Workshop on Swedish Knitted Twined Fingerless Mitts on Wednesday 10 May, 9.30am-4.30pm. 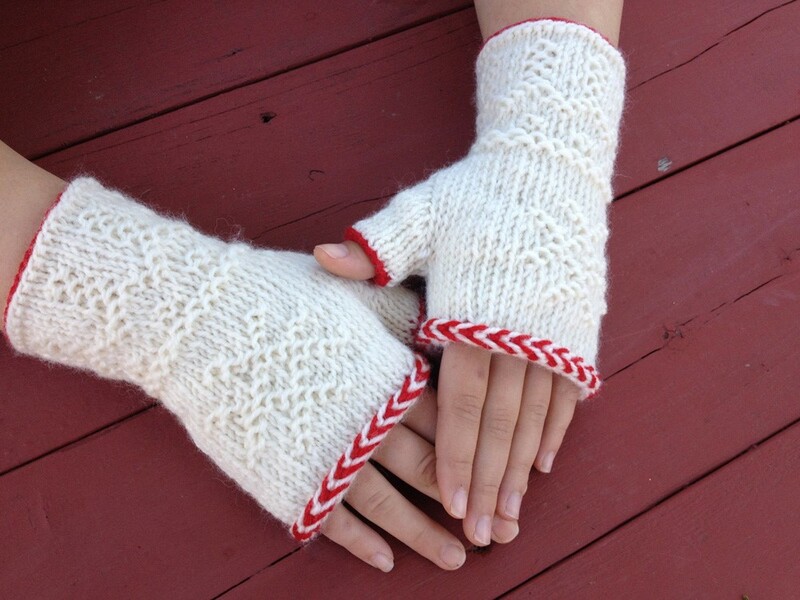 Working in the round, the techniques covered include: twine knitting, twine purling, the crook stitch, the “O” stitch, reading a chart, and the Chain Path, the twined knitted increase, an asymmetrical thumb gusset, and traditional motifs. The workshop, at a private studio in Northland, is suitable for intermediate knitters who’re used to circular or doublepointed needles. Places are limited and cost $35; contact Marian Scott-Rowe (mscottrowe@gmail.com) for more details and bookings. For Beth’s other North Island events (non-members welcome) during May, see the Creative Fibre website. This entry was posted in Classes, Lectures & Talks, Textiles, Wellington, wool and tagged Beth Brown-Reinsel, College of Creative Arts Massey University, Creative Fibre, knitting. Bookmark the permalink.